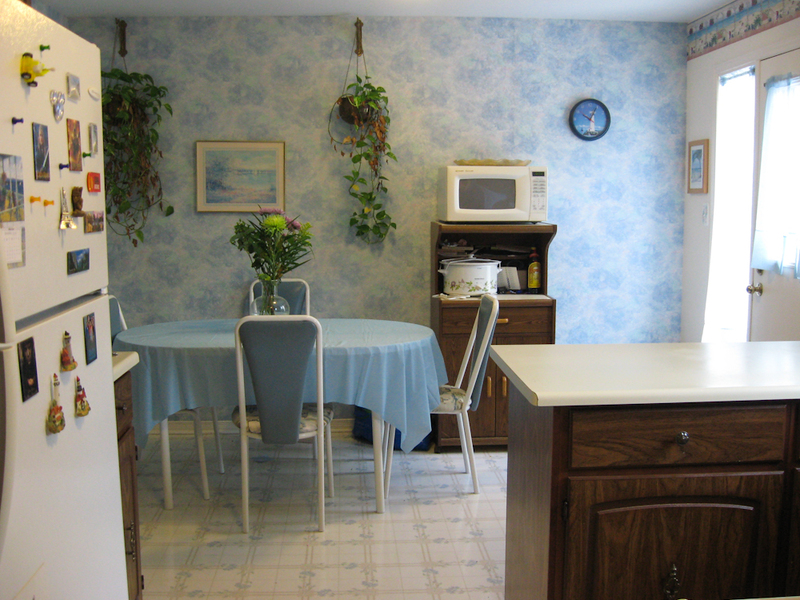 Our house is about 25 years old and we’ve lived here for almost 22 years. 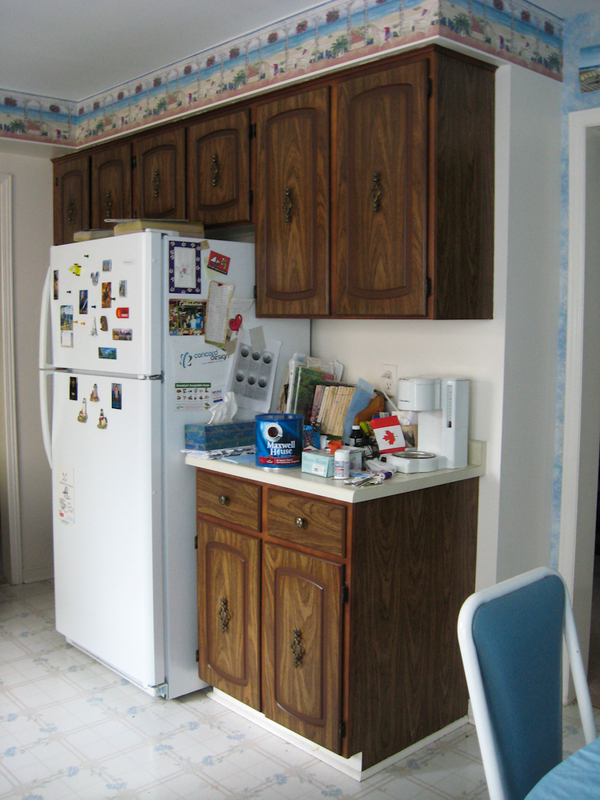 We last painted, wallpapered and redid the vinyl flooring in the kitchen about 12 years ago and the cabinets were the originals, so it was long past time to freshen up the room. 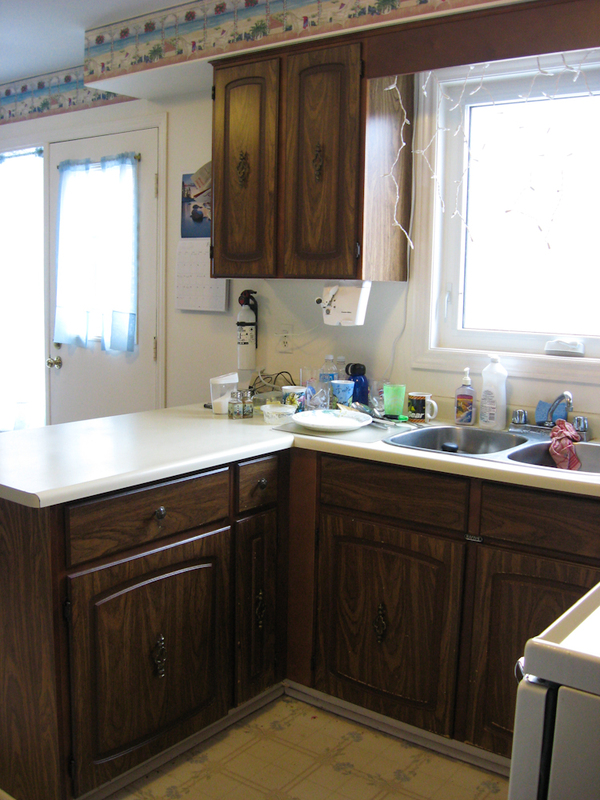 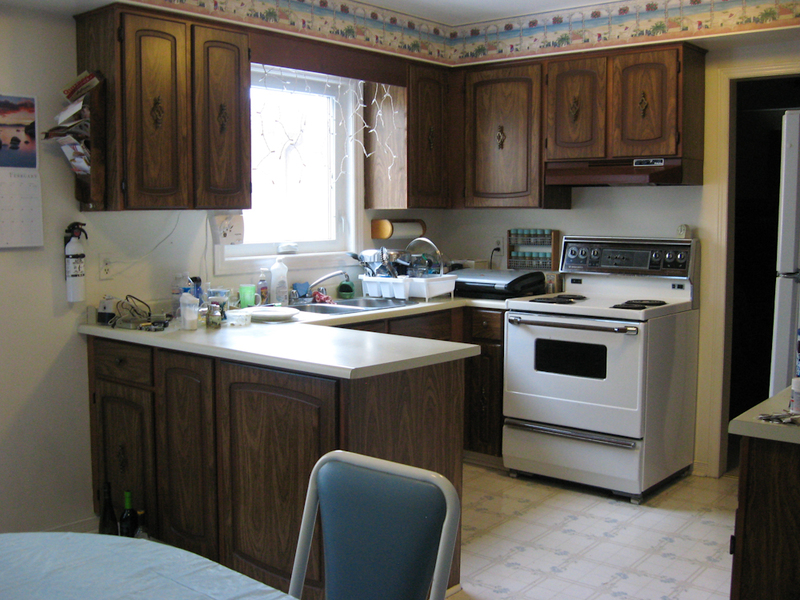 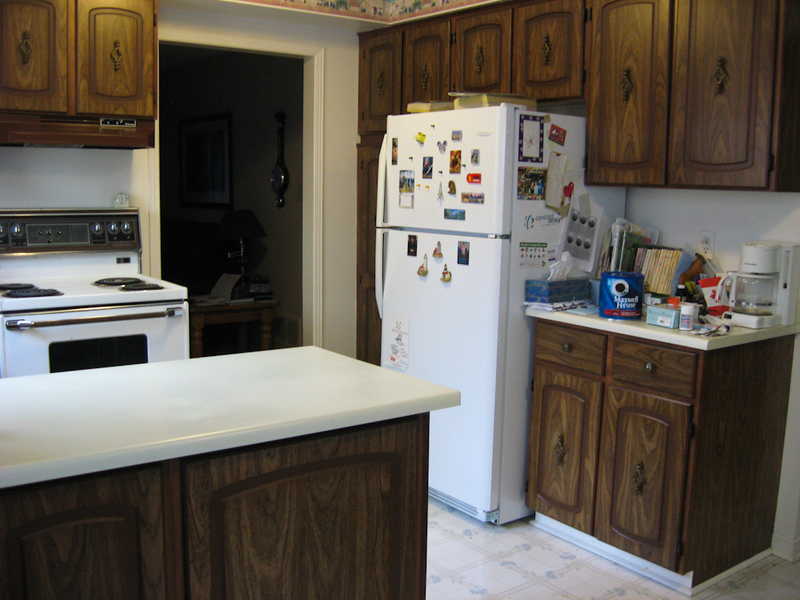 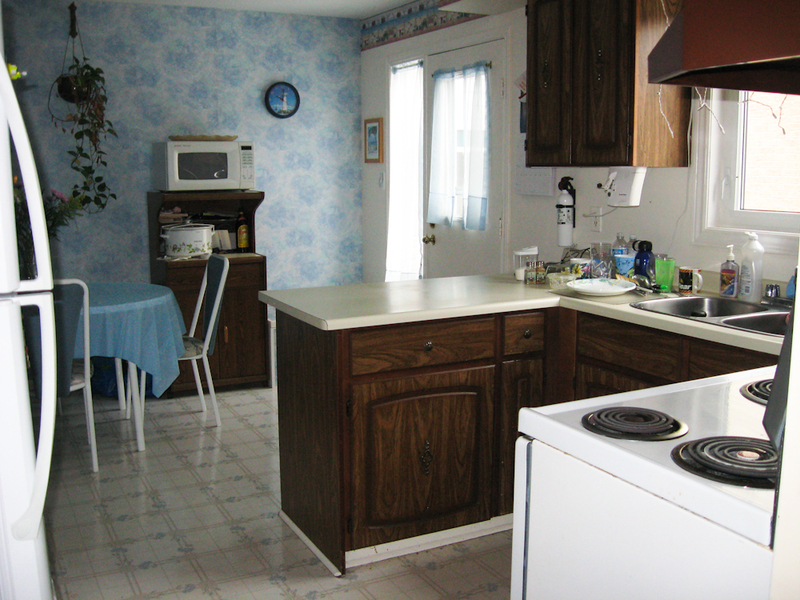 Here are some photos of our kitchen before we began renovating recently, complete with all its usual mess.